Waterbased coating for the restoration of mineral-board, plaster and concrete ceilings. 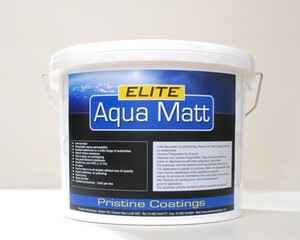 Elite Ultra-Ceil Matt is a premium quality coating for the restoration of suspended ceilings. It has been developed to offer a perfectly flat matt finish with excellent light reflectance. When applied over acoustic ceiling tiles, the acoustic properties and fire rating of the ceilings remain intact.